Di Seluruh Dunia Anda akan menemukan banyak pegunungan yang sangat indah dan lainnya adalah gunung berapi. Ada tiga jenis utama dari gunung berapi yang dikelompokkan bersama oleh letusan pola dan bentuk-bentuk umum meskipun setiap gunung api memiliki sejarah erupsi sendiri yang unik. Lihat Kumpulan foto dan gambar berbagai jenis gunung berapi. Lava Flowing Into the Pacific. 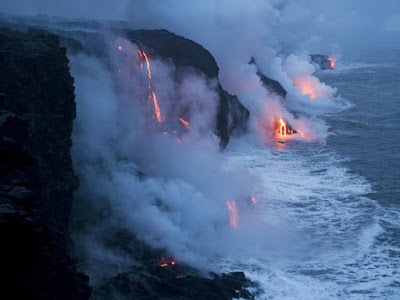 With a hiss of steam, lava flows into the Pacific Ocean in Hawaii Volcanoes National Park, Hawaii. Similar flows of molten rock have built up the Hawaiian islands over the course of more than 70 million years. Mount Etna, Italy. Perched above the lighted city of Catania, Italy, Mount Etna hurls a fountain of fire skyward as rivers of lava spill down its flanks. 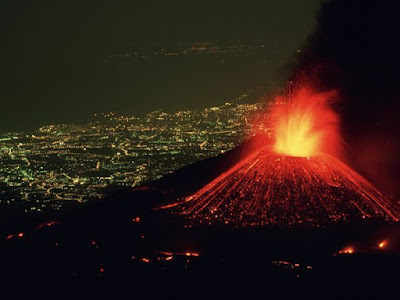 In spite of its dazzling displays, Mount Etna is a relatively safe volcano with rare, compact eruptions and slow-flowing lava that gives people a chance to escape. 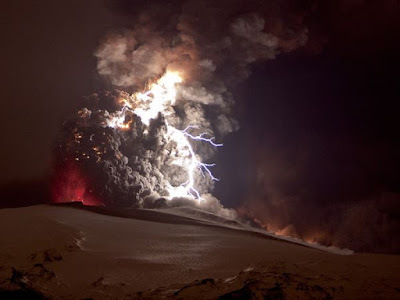 Volcanic Lightning. A bright bolt of lightning crackles within the ash cloud from the eruption of the Eyjafjallajökull volcano in Iceland in April 2010. Volcanic lightning occurs when roiling ash particles rub against each other and become electrically charged. Ol Doinyo Lengai Volcano. A stream of neon-orange lava cascades down Ol Doinyo Lengai, in Tanzania’s Great Rift Valley. 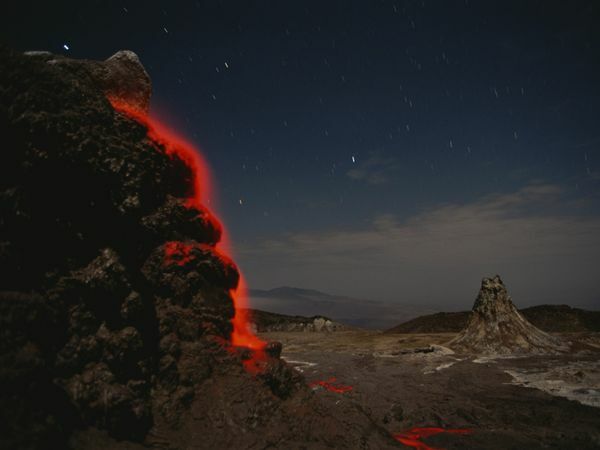 Ol Doinyo Lengai, "Mountain of God" in the language of the Maasai, is the only volcano in the world erupting natrocarbonatite lava, an extremely fluid lava that contains almost no silicon.